We are very pleased to announce that Dr. Frigz International (Pvt.) 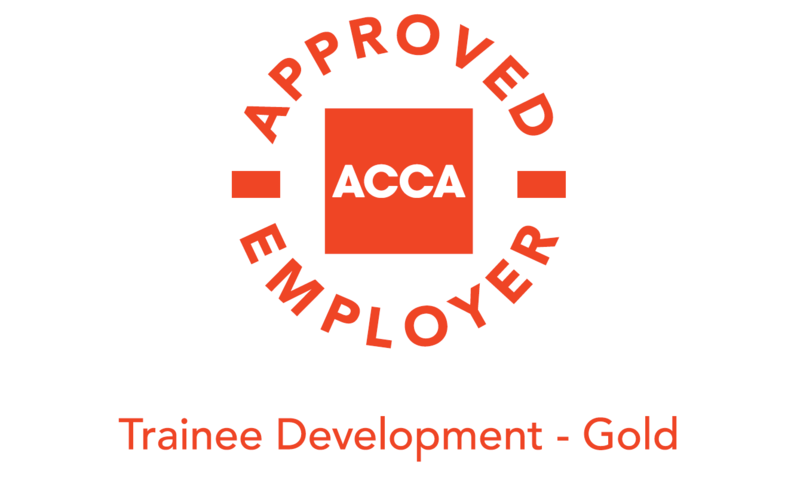 Ltd. has now been awarded Gold ACCA Approved Employer – trainee development accreditation by ACCA. In addition to the various existing technical and management system certifications, this prestigious accreditation means that ACCA recognizes the learning opportunities Dr. Frigz International (Pvt.) Ltd. provides to its employees. We were assessed against a number of best practice and development standards, the criteria for which can be found in ACCA’s Approved Employer assessment matrix. 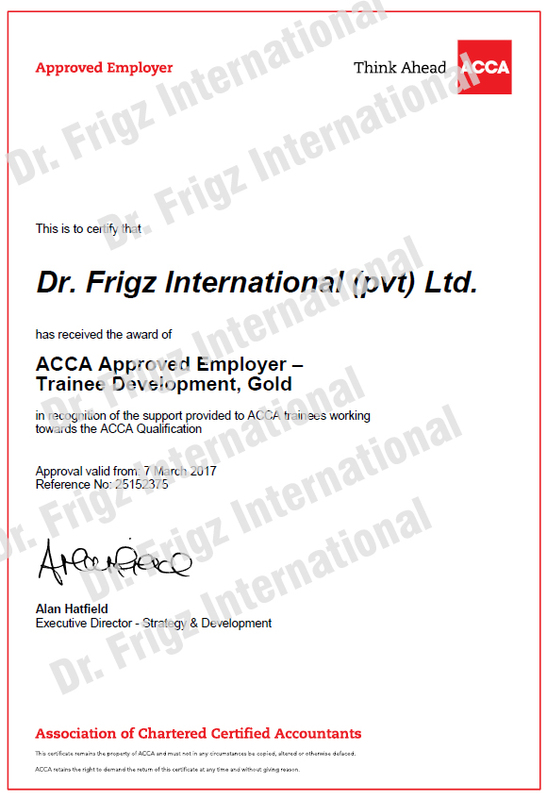 This accreditation not only benefits the employees with their training programme by enabling them to claim ACCA training exemption but it also benefits Dr. Frigz International (Pvt.) 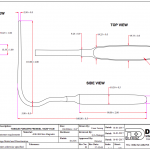 Ltd. and its clients as employees will be working in our operational teams and will be able to provide more professional and accurate services and products to our clients. The accreditation and associated exemption means that ACCA has confidence in Dr. Frigz International (Pvt.) Ltd. systems and processes. The achievement of yet another milestone in form of ACCA Approved Employer Accreditation shows that Dr. Frigz International (Pvt.) Ltd. has continuously been striving to be at the top of ladder especially when the matter is related to customers’ satisfaction and fulfilling their requirements and needs. Not many manufacturing companies in Pakistan can boast this status and this goes to show that Dr. Frigz settles for nothing but the best. Whether it is manufacturing products, or the team that manages the company, or simply giving back to the community, Dr. Frigz believes in approaching everything with quality in the mind. We thank all the people and employees involved in making Dr. Frigz the strong brand that it is. It is your hard work and dedication that has been observed and in return the status of Gold Employer has been bestowed upon Dr. Frigz. Thank You All!!! Association of Chartered Certified Accountants (ACCA) offers business-relevant, first-choice qualifications to people of ability and ambition around the world who seek a rewarding career in accountancy, finance, audit, tax and business management. Founded in 1904, ACCA has consistently held unique core values: opportunity, diversity, innovation, integrity and accountability. ACCA is the global professional accounting body offering the Chartered Certified Accountant qualification (ACCA or FCCA). ACCA has 188,000 members and 480,000 students in 178 countries. ACCA’s headquarters are in London with principal administrative office in Glasgow. ACCA works through a network of 100 offices. ACCA works in the public interest, assuring that its members are appropriately regulated for the work they carry out and promoting principles-based approaches to regulation.